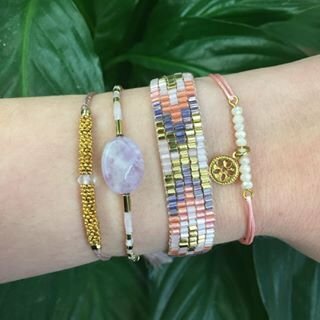 Bracelet with pink colored nylon cord and cream colored facetted beads with a small gold plated coin in the middle, finished with a macrame slide system. 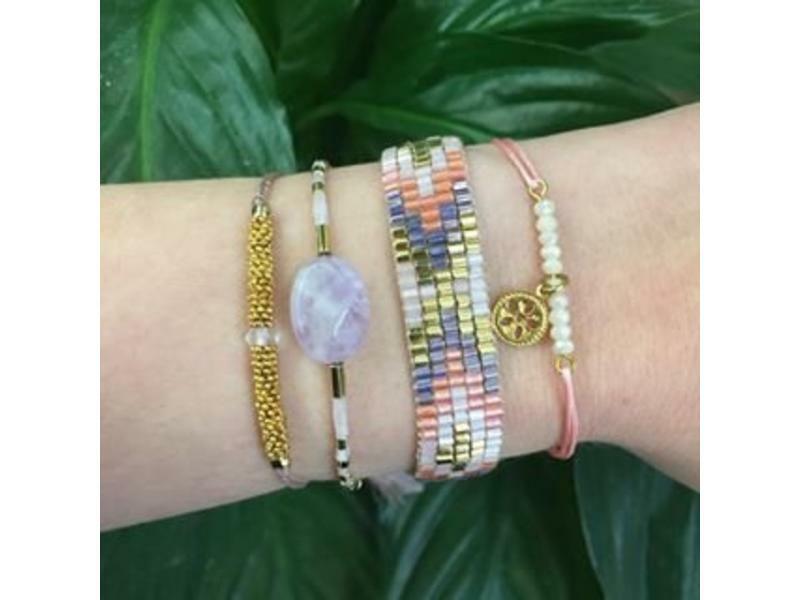 Length is adjustable to all sizes. 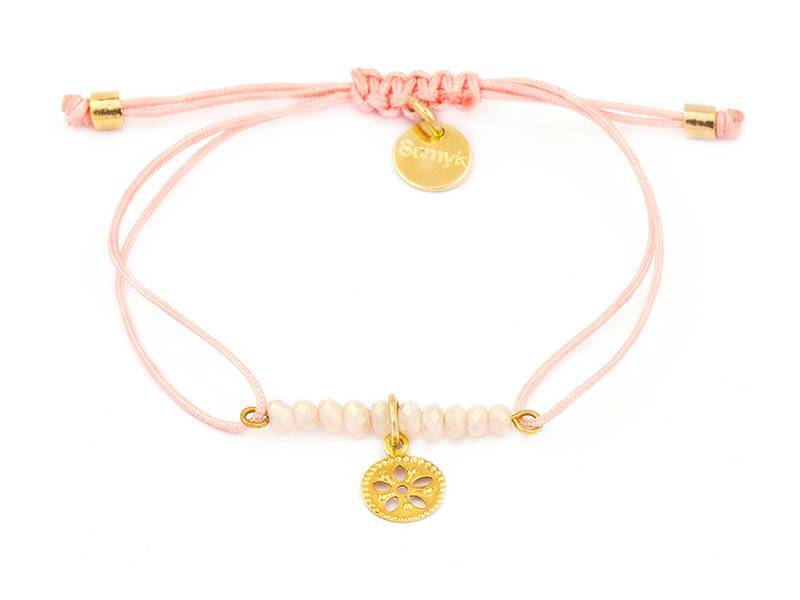 Bracelet with light pink colored waxcord and gold plated coins. Length is 16 cm with 2 cm adjustment. 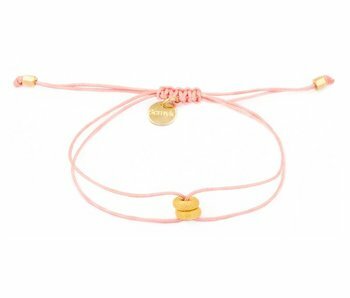 Bracelet with pink colored nylon cord & two gold plated rings in the middle. Length is adjustable to all sizes. 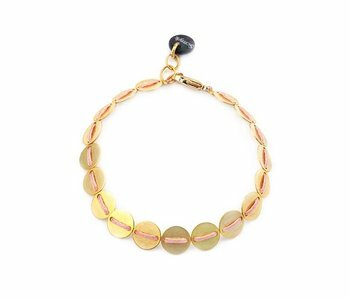 Bracelet with roze colored cord, gold plated chain and gold plated plate in the middle. Length is 16 cm with 2 cm adjustment. 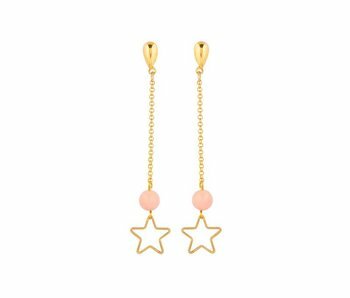 Gold plated pierced earrings with coral bead & gold plated star hanging at the end. Length is 6 cm.